session will appear on your daily plan in the OLS. 2. You will have daily assignments in Triumph. The pretest will help the teachers identify what areas you need extra help with. Watch Me! Gotta' Keep Reading! 4. Read out loud to an adult for at least 20 minutes. You can do it! 1. Please attend the LIVE Reading Class at 10:45 a.m. Students will sign in and complete warm up activity and live session will begin at 11:00 a.m. daily. The link to this session will appear on your daily plan in the OLS. 3. Optional: Click on the 'Watch Me First' videos below before doing each lesson on Study Island. Attend extra support session if needed. Reading on Demand (Daily from 1:00 - 3:00) - Link in the OLS. 3. Optional lessons: Go to www.studyisland.com and click on the ELA CCGPS tab. Read out loud to an adult for at least 20 minutes. Enjoy! Need extra practice? Want to learn more? Try the activities below! 1. Please attend the LIVE class today at 11:00. The link to this session will appear on your daily plan in the OLS. 3. Optional: Go to www.studyisland.com and click on the ELA CCGPS tab. 4. Complete at least 10 practice questions per topic. Try to earn a Blue Ribbon if you can! Read out loud to an adult for at least 20 minutes. Enjoy!Attend extra support session if needed. Reading on Demand (Daily from 1:00 - 3:00) - Link in the OLS. Optional: Go to www.studyisland.com and click on the ELA CCGPS tab. 4. Complete the Study Island Custom Assessment for today. 1. Smile! You made it! We are very proud of you! 2. 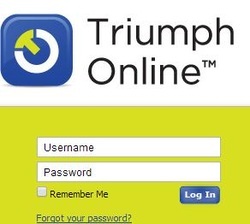 Go to Triumph and complete the Grade 5 Summer School Summative Assessment 1. Take your time to read carefully and do your best! You can do it! 3. Use the links and resources on this page to help you review any areas needed before your retest next week. Read out loud to and adult for at least 20 minutes. Enjoy! Make sure you know where you are supposed to go next week to take the re-test. The reading retake is on Monday, June 16th.